oatmeal lace design: gray & yellow gorgeousness. 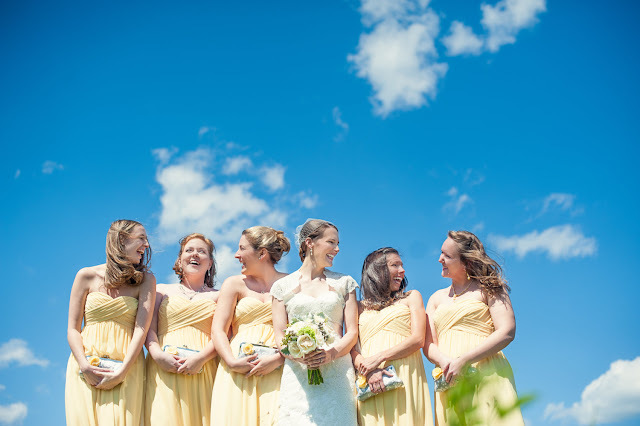 I thought the combination she chose turned out wonderfully and was absolutely thrilled when I opened up my email earlier this week to find pictures from her that she had taken on her wedding day. 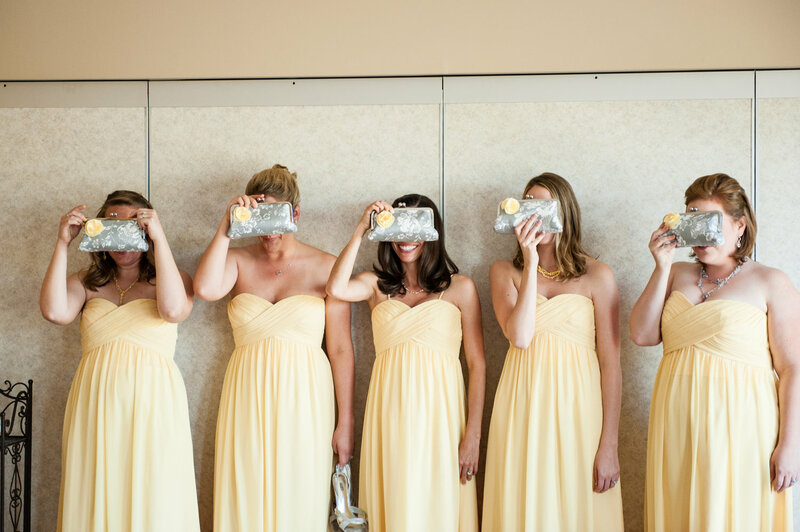 her bridesmaids carried the bags instead of flowers, which I think is such a fun idea. 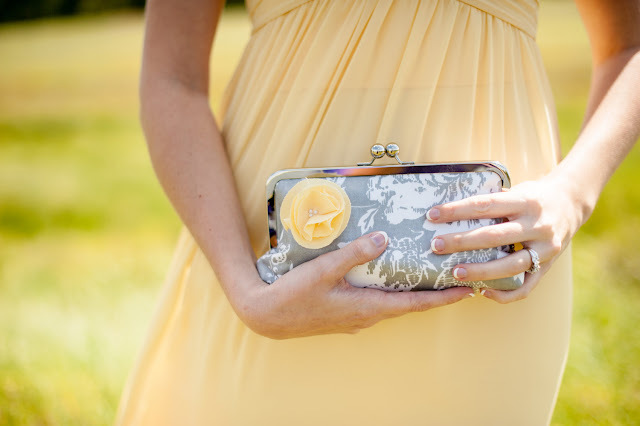 enough babbling-enjoy the gorgeousness of kara and her bridesmaids, using the clutches as a photo prop. 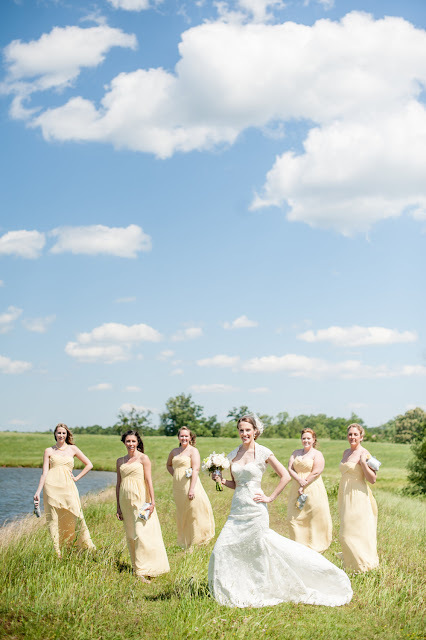 want to see more of her amazing wedding? 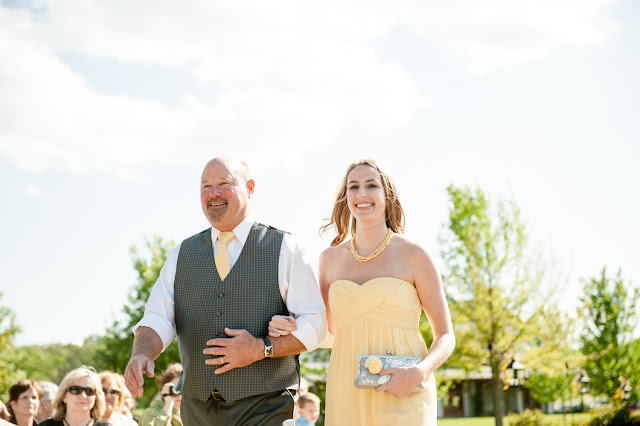 (trust me, you do) head on over to scobey photography's blog to see their photos. thanks again, kara. your wedding was beautiful!! So beautiful! And what a neat idea to have bags instead of flowers - so much more practical!